Reykjanes Peninsula is a UNESCO Global Geopark. The lava-scarred peninsula is the only place in the world where the Mid Atlantic Ridge is visible above sea level. Here you can find 100 different craters, caves and lava fields, a variety of bird life, astonishing cliffs, high geothermal activity, and beautiful black sand beaches. Our first stop is at Seltún. 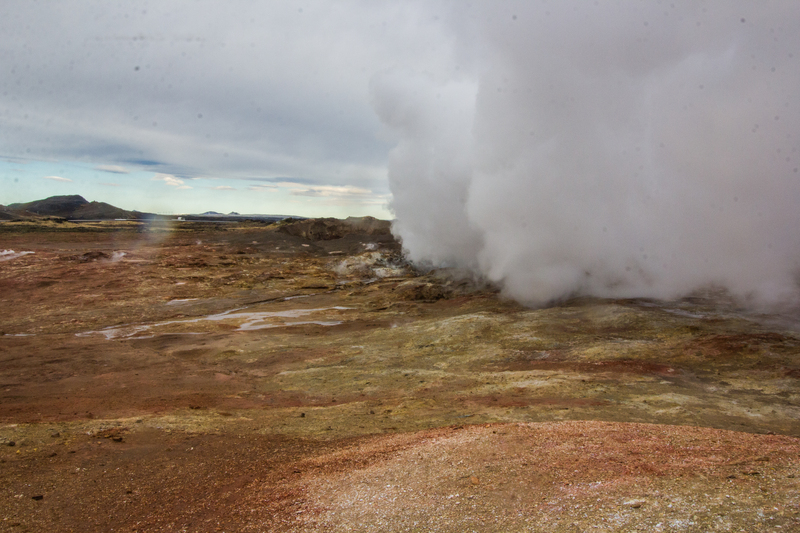 Seltún is a high-temperature geothermal area, a part of the Reykjanes Nature Reserve. Seltún has a variety of mudpots and fumaroles. Minerals deposited from geothermal solutions provide colorful sediments. There are also good walking paths for exploring the area. Then we will visit Brimketill, one of Reykjanes region’s most popular natural attractions. At first, this lava rock formation looks like a man-made pool, however, it was formed by the constant beating of the waves from the Atlantic Ocean crashing on the lava rock coast. Brimketill is also known as Oddnýjarlaug. According to Icelandic folklore, it is believed that the female troll, Oddny, would regularly bathe here. Our next stop is Gunnuhver, a collective name for a colourful geothermal field of various mud pools and fumaroles in the southwest part of Reykjanes. Named after a female ghost, Gudrun, whose spirit was trapped in the hot springs by a priest 400 years ago, the steamy area has an eerie atmosphere. The water at Gunnuhver is 100% seawater, unlike many other geothermal areas in Iceland. This tour is a must see tour, the environment is magnificent and you feel like the man on the moon !